Jamón de Trevélez is a product of differentiated quality covered by a Regulatory Board, which is a body that governs, controls and promotes the product that it covers. 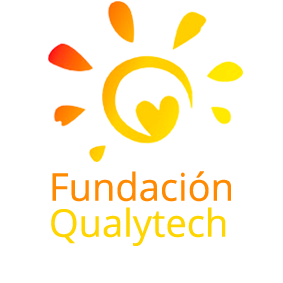 Inspection, control and certification is carried out by Fundación Qualytech Alimentación, an independent body founded to control and certify different products of differentiated quality. Jamón de Trevélez is covered by a PGI. Protected Geographical Indication (PGI), along with Protected Designation of Origin (PDO) and Traditional Speciality Guaranteed (TSG), are all schemes established in European legislation, and constitute the system used for recognising differentiated quality. These quality schemes cover products with unique differentiating characteristics, which arise from the geographical environment where the raw materials are produced and the products are made, and the human factor involved. 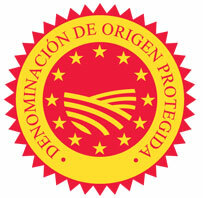 Protected Designation of Origin (PDO) controls: Raw materials, traditional processes and controlled production and specific of a geographical area. Protected Geographical Indication (PGI) controls: Controlled raw materials that are not linked to a geographical area or environment, traditional processes, controlled production and specifics linked to a geographical surrounding. Traditional Speciality Guaranteed (TSG) controls: Raw materials, controlled processes and production that are not linked to a geographical surrounding. 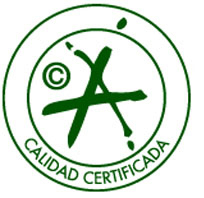 Jamón de Trevélez also carries the seal of Certified Quality granted by the Regional Department of Agriculture, Fisheries and Rural Development of Andalusia. Regulation on the Specific Denomination «Jamón de Trevélez» and its Regulatory Board, passed by Order of 19 May 1998 (Official Gazette of the Andalusian Autonomous Government no 62, 4 June 1998) and ratified by Order of APA/2859/2004, of 2 August 2004 (Official State Gazette No 205, 25 August 2004). Order of 2nd March 2012, which was voted in favour of the modification request for the product specification of «Jamón de Trevélez» PGI (Official Gazette of the Andalusian Autonomous Government No 50, of 13 March 2012). Commission Regulation (EC) No 1855/2005 of 14 November 2005, supplementing the annex to Regulation (EC) no 2400/96 as regards the entry of certain names in the «Register of protected designations of origin and protected geographical indications» (OJEU No L297, of 15 November 2005). Commission Implementing Regulation (EU) No 1247/2013 of 28 November 2013 approving non-minor amendments to the specification for a name entered in the register of protected designations of origin and protected geographical indications (Jamón de Trevélez PGI) (OJEU No L323, of the 4th December 2013). Law 2/2011, of 25 March, on food and fish quality for Andalusia (Official Gazette of the Andalusian Autonomous Government No 70, of 8 April 2011). Regulation (EU) 1151/2012 of the European Parliament and of the Council of 21 November 2012 on quality schemes for agricultural products and foodstuffs (OJEU nº L343, of 14 December 2012).